REDDING, CA—(Marketwired – Jul 31, 2014) – North Valley Bancorp (NASDAQ: NOVB), a bank holding company with approximately $935 million in assets, today reported results for the second quarter and six months ended June 30, 2014. North Valley Bancorp (“the Company”) is the parent company for North Valley Bank (“NVB”). The Company reported net income for the second quarter ended June 30, 2014 of $1,260,000, or $0.18 per diluted share, compared to net income of $894,000, or $0.13 per diluted share, for the same period in 2013. The Company reported net income for the six months ended June 30, 2014 of $2,179,000, or $0.32 per diluted share, compared to net income of $2,155,000, or $0.31 per diluted share, for the same period in 2013. On January 21, 2014, the Company entered into an Agreement and Plan of Merger and Reorganization dated January 21, 2014 (the “Merger Agreement”), pursuant to which the Company would merge with and into TriCo Bancshares, a California corporation (“TriCo”), with TriCo being the surviving corporation. Immediately thereafter, the Company's subsidiary bank, North Valley Bank, would be merged with and into TriCo's subsidiary bank, Tri Counties Bank. Shareholders of the Company will receive a fixed exchange ratio of 0.9433 shares of TriCo common stock for each share of Company common stock. The transactions contemplated by the Merger Agreement are expected to close in the third quarter of 2014, pending approvals of the Company shareholders and the TriCo shareholders, the receipt of all necessary regulatory approvals, and the satisfaction of other closing conditions which are customary for such transactions. The Company did not record a provision for loan losses for the second quarter and the six months ended June 30, 2014 and 2013. The allowance for loan losses at June 30, 2014 was $9,012,000, or 1.78% of total loans, compared to $9,301,000, or 1.83% of total loans at December 31, 2013 and $9,527,000, or 1.89% of total loans at June 30, 2013. At June 30, 2014, total assets were $934,982,000, an increase of $17,224,000, or 1.9%, from $917,758,000 at June 30, 2013. The loan portfolio totaled $506,603,000 at June 30, 2014, an increase of $2,329,000, or 0.5%, compared to $504,274,000 at June 30, 2013. The loan to deposit ratio at June 30, 2014 was 63.5% as compared to 65.9% at June 30, 2013, and 64.6% at December 31, 2013. Total deposits increased $32,937,000, or 4.3%, to $797,992,000 at June 30, 2014 compared to $765,055,000 at June 30, 2013. Available–for–sale investment securities totaled $213,696,000 at June 30, 2014, a decrease of $92,604,000 from June 30, 2013. The Company had Federal funds sold of $124,640,000 at June 30, 2014 compared to none at June 30, 2013, while other borrowings were zero at June 30, 2014 compared to $22,025,000 at June 30, 2013. When compared to December 31, 2013, total assets at June 30, 2014 increased $17,218,000 from $917,764,000, loans decreased by $2,641,000 from $509,244,000, and deposits increased by $10,143,000 from $787,849,000. Available–for–sale investment securities decreased $65,783,000 from December 31, 2013 to June 30, 2014, while Federal funds sold increased $86,505,000 from December 31, 2013 to June 30, 2014. At June 30, 2014, the Company's Total Risk–based Capital was $121,684,000, and its capital ratios were: Total Risk–based Capital ratio – 19.4%; Tier 1 risk–based Capital ratio – 18.2%; and Tier 1 Leverage ratio – 12.4%. At June 30, 2014, the Bank's Total Risk–based Capital was $120,318,000, and its capital ratios were: Total Risk–based Capital ratio – 19.2%; Tier 1 risk–based Capital ratio – 18.0%; and Tier 1 Leverage ratio – 12.3%. Nonperforming loans (defined as nonaccrual loans and loans 90 days or more past due and still accruing interest) decreased $1,515,000, or 25.8%, to $4,356,000 at June 30, 2014 from $5,871,000 at June 30, 2013, and decreased $737,000 from the December 31, 2013 balance of $5,093,000. Nonperforming loans as a percentage of total loans were 0.86% at June 30, 2014, 1.16% at June 30, 2013, and 1.00% at December 31, 2013. The overall level of nonperforming loans decreased $449,000 to $4,356,000 at June 30, 2014 from $4,805,000 at March 31, 2014. During the second quarter of 2014, the Company identified four loans totaling $679,000 as additional nonperforming loans. The additions were offset by reductions in nonperforming loans totaling $1,128,000 due primarily to collections received on certain loans and charge–offs, and secondarily to the transfer of one property to Other Real Estate Owned (“OREO”) totaling $109,000. Of the four loans totaling $679,000 identified as nonperforming loans during the second quarter of 2014, the largest loan of the group is a residential mortgage loan totaling $377,000, secured by property located in Shasta County. A specific reserve of $80,000 has been established for this loan. The remaining three loans identified as nonperforming loans in the second quarter of 2014 total $302,000. No charge–offs have been recorded against these loans and $144,000 in specific reserves have been established. Gross loan charge–offs for the second quarter of 2014 were $76,000 and recoveries totaled $30,000 resulting in net charge–offs of $46,000 compared to gross loan charge–offs for the second quarter of 2013 of $147,000 and recoveries of $23,000 resulting in net charge–offs of $124,000. Gross charge–offs for the six months ended June 30, 2014 were $374,000 and recoveries totaled $85,000 resulting in net charge–offs of $289,000, compared to gross charge–offs for the six months ended June 30, 2013 of $1,203,000 and recoveries of $272,000 resulting in net charge–offs of $931,000. Nonperforming assets (nonperforming loans and OREO) totaled $4,861,000 at June 30, 2014, a decrease of $17,334,000 from the June 30, 2013 balance of $22,195,000, and a $3,686,000 decrease from the December 31, 2013 balance of $8,547,000. Nonperforming assets as a percentage of total assets were 0.52% at June 30, 2014 compared to 2.42% at June 30, 2013 and 0.93% at December 31, 2013. The Company's OREO properties decreased $2,128,000 to $505,000 at June 30, 2014 from $2,633,000 at March 31, 2014. The decrease in OREO was due to the sale of one property totaling $2,169,000, and write–downs of certain other OREO properties totaling $68,000, partially offset by the transfer of one property to OREO totaling $109,000. Net interest income, which represents the Company's largest component of revenues and is the difference between interest earned on loans and investments and interest paid on deposits and borrowings, decreased $132,000, or 1.7%, for the three months ended June 30, 2014 compared to the same period in 2013. Interest income decreased by $187,000, due primarily to a decrease in investment securities income as a result of a decrease in average investment securities balances, and secondarily due to decrease in loan income. The Company had foregone interest of $3,000 and $50,000 for the loans on nonaccrual status for the three months ended June 30, 2014 and 2013, respectively. Average loans increased by $15,139,000 in the second quarter of 2014 compared to the second quarter of 2013, while the yield on the loan portfolio decreased 22 basis points to 5.02% for the quarter ended June 30, 2014. Partially offsetting the decrease in interest income was a decrease in interest expense of $55,000, or 13.7%, due to a decrease in the rates paid on deposits for the quarter ended June 30, 2014 compared to the same period in 2013. Overall, average earning assets increased $29,408,000 in the second quarter of 2014 compared to the second quarter of 2013. Average yields on earning assets decreased 24 basis points from the quarter ended June 30, 2013, to 3.73% for the quarter ended June 30, 2014 and the average rate paid on interest–bearing liabilities decreased by 4 basis points to 0.22%. The Company's net interest margin for the quarter ended June 30, 2014 was 3.57%, a decrease of 20 basis points from the margin of 3.77% for the second quarter in 2013 and the linked quarter ended March 31, 2014. Net interest income increased $194,000 for the six months ended June 30, 2014 compared to the same period in 2013. Total interest income increased by $64,000 for the six months ended June 30, 2014 compared to the same period in 2013. Interest expense decreased $130,000 due to a decrease on rates paid on deposits for the six months ended June 30, 2014 compared to the same period in 2013. The net interest margin for the six months ended June 30, 2014 decreased 11 basis points to 3.67% from the net interest margin of 3.78% for the six months ended June 30, 2013. Noninterest income for the quarter ended June 30, 2014 decreased $951,000, or 26.1%, to $2,700,000 compared to $3,651,000 for the same period in 2013. Service charges on deposits decreased $222,000 to $749,000 for the second quarter of 2014 compared to $971,000 for the second quarter of 2013, and other fees and charges decreased $20,000 to $1,088,000 for the second quarter of 2014 compared to $1,108,000 for the second quarter of 2013. Gain on sales of mortgage loans decreased $409,000 to $291,000 for the second quarter of 2014 compared to $700,000 for the second quarter of 2013. The Company did not record any gain on sale of SBA loans for the second quarter of 2014 compared to gains on sale of SBA loans of $220,000 for the second quarter of 2013. The Company recorded gain on sale of investment securities of $56,000 for the second quarter of 2014 compared to zero gain on sale of investment securities for the same period in 2013. Other noninterest income decreased $136,000 to $516,000 for the second quarter of 2014 compared to $652,000 for the second quarter of 2013. Noninterest income for the six months ended June 30, 2014 decreased $2,850,000 to $5,130,000 from $7,980,000 for the same period in 2013. Service charges on deposits decreased $476,000 to $1,447,000 for the six months ended June 30, 2014 compared to $1,923,000 for the same period in 2013, and other fees and charges decreased by $128,000 to $2,100,000 for the six months ended June 30, 2014 compared to $2,228,000 for the same period in 2013. Gain on sales of mortgage loans decreased $982,000 to $475,000 for the six months ended June 30, 2014 compared to $1,457,000 for the same period in 2013, and gain on sales of SBA loans decreased $343,000 to $45,000 for the six months ended June 30, 2014 compared to $388,000 for the same period in 2013. The Company recorded gain on sale of investment securities of $56,000 for the six months ended June 30, 2014 compared to gain on sale of investment securities of $543,000 for the same period in 2013. Other noninterest income decreased $434,000 to $1,007,000 for the six months ended June 30, 2014 compared to $1,441,000 for the same period in 2013. Noninterest expense decreased $1,365,000, or 13.7%, to $8,571,000 for the second quarter of 2014 from $9,936,000 for the second quarter of 2013. Salaries and employee benefits decreased $211,000, to $4,866,000 for the second quarter of 2014 compared to $5,077,000 for the second quarter of 2013. Occupancy, furniture and equipment expense decreased $26,000, for the second quarter of 2014 compared to the second quarter of 2013, and OREO expense decreased $906,000 to $84,000 for the second quarter of 2014 compared to $990,000 for the second quarter of 2013. FDIC premiums and state assessments decreased $47,000, and other expenses decreased by $175,000 for the second quarter of 2014 compared to the second quarter of 2013. For the quarter ended June 30, 2014, the Company had approximately $88,000 of merger related expenses resulting from the pending merger with TriCo Bancshares, included in other noninterest expenses. Noninterest expense for the six months ended June 30, 2014 decreased $2,497,000, or 12.6%, to $17,327,000 compared to $19,824,000 for the same period in 2013. For the six months ended June 30, 2014, salaries and employee benefits decreased $350,000, and occupancy, furniture and equipment expense decreased $40,000. OREO expense decreased $1,272,000 to $94,000 for the six months ended June 30, 2014 compared to $1,366,000 for the same period in 2013. FDIC premiums and state assessments decreased $124,000 to $307,000 for the six months ended June 30, 2014 compared to $431,000 for the same period in 2013, and other expenses decreased $711,000 to $5,407,000 for the six months ended June 30, 2014 compared to $6,118,000 for the same period in 2013. For the six months ended June 30, 2014, the Company had approximately $378,000 of merger related expenses resulting from the pending merger with TriCo Bancshares, included in other noninterest expenses. The Company recorded a provision for income taxes for the quarter ended June 30, 2014 of $315,000, resulting in an effective tax rate of 20.0%, compared to a provision for income taxes of $399,000, or an effective tax rate of 30.9%, for the quarter ended June 30, 2013. The provision for income taxes for the six month period ended June 30, 2014 was $832,000, resulting in an effective tax rate of 27.6%, compared to a provision for income taxes of $1,015,000, or an effective tax rate of 32.0%, for the same period in 2013. North Valley Bancorp is a bank holding company headquartered in Redding, California. Its subsidiary, North Valley Bank (“NVB”), operates twenty–two commercial banking offices in Shasta, Humboldt, Del Norte, Mendocino, Yolo, Sonoma, Placer and Trinity Counties in Northern California, including two in–store supermarket branches and six Business Banking Centers. North Valley Bancorp, through NVB, offers a wide range of consumer and business banking deposit products and services including internet banking and cash management services. In addition to these depository services, NVB engages in a full complement of lending activities including consumer, commercial and real estate loans. Additionally, NVB has SBA Preferred Lender status and provides investment services to its customers. Visit the Company's website address at www.novb.com for more information. In connection with the proposed Merger, TriCo has filed with the SEC a registration statement on Form S–4, which was declared effective by the SEC on June 27, 2014. The registration statement includes the proxy statement/prospectus with respect to the proposed acquisition of North Valley. The definitive proxy statement/prospectus was mailed to the shareholders of TriCo and to the shareholders of North Valley on or about July 3, 2014. INVESTORS AND SECURITY HOLDERS OF NORTH VALLEY ARE URGED TO READ THE PROXY STATEMENT/PROSPECTUS REGARDING THE PROPOSED MERGER CAREFULLY AND IN ITS ENTIRETY, INCLUDING ANY DOCUMENTS PREVIOUSLY FILED WITH THE SEC AND INCORPORATED BY REFERENCE INTO THE PROXY STATEMENT/PROSPECTUS, BECAUSE IT CONTAINS IMPORTANT INFORMATION REGARDING TRICO, NORTH VALLEY AND THE PROPOSED MERGER. Free copies of the definitive proxy statement/prospectus also may be obtained by directing a request by telephone or mail to TriCo Bancshares, 63 Constitution Drive, Chico, California 95973, Attn: Investor Relations, telephone (530) 898–0300 ext. 88869 or 800–922–8742, or by accessing TriCo's website at www.tcbk.com under “Investor Relations,” or by directing a request by telephone or mail to North Valley Bancorp, P.O. Box 994630, Redding, California 96099–4630, Attn: Investor Relations, telephone 866–869–6673, or by accessing North Valley's website at www.novb.com under “Investor Relations.” Other documents filed by North Valley with the SEC may also be obtained free of charge at North Valley's website or at the SEC's website at www.sec.gov. North Valley, TriCo, their directors, executive officers and certain other persons may be deemed to be participants in the solicitation of proxies from North Valley and TriCo shareholders in favor of the approval of the proposed transaction. Information regarding North Valley's officers and directors is included in North Valley's Form 10–K Annual Report for the fiscal year ended December 31, 2013 filed with the SEC and information regarding TriCo's officers and directors is included in TriCo's Form 10–K Annual Report for the fiscal year ended December 31, 2013 filed with the SEC. Descriptions of the interests of the directors and executive officers of North Valley and TriCo in the proposed transaction are set forth in the definitive proxy statement/prospectus and other relevant documents filed with the SEC. Cautionary Statement: This release contains certain forward–looking statements that are subject to risks and uncertainties that could cause actual results to differ materially from those stated herein. Management's assumptions and projections are based on their anticipation of future events and actual performance may differ materially from those projected. Risks and uncertainties which could impact future financial performance include, among others, (a) competitive pressures in the banking industry; (b) changes in the interest rate environment; (c) general economic conditions, either nationally, regionally or locally, including fluctuations in real estate values; (d) changes in the regulatory environment; (e) changes in business conditions or the securities markets and inflation; (f) possible shortages of gas, electricity and water at utility companies operating in the State of California, and (g) the effects of terrorism, including the events of September 11, 2001, and thereafter, and the conduct of the war on terrorism by the United States and its allies. Therefore, the information set forth herein, together with other information contained in the periodic reports filed by the Company with the Securities and Exchange Commission, should be carefully considered when evaluating the business prospects of the Company. North Valley Bancorp undertakes no obligation to update any forward–looking statements contained in this release, except as required by law. Mosquito-Borne Illness on the Rise in U.S.
BEDFORD HILLS, NY—(Marketwired – Jul 31, 2014) – West Nile Virus continues to be a threat across the United States. Cases related to this disease have been reported from all 48 lower states. The only states that have not reported cases are Alaska and Hawaii. In addition, Florida has the first locally acquired case of the Chikungunya virus which has been brought in from travelers. Chikungunya has become widespread in the Caribbean region. The European Centre for Disease Prevention and Control announced there have been more than 100,000 suspected Chikungunya virus cases claiming at least 14 deaths. The top precaution to take in order to avoid the disease is to reduce mosquito exposure. Daily methods may include mosquito repellents on exposed skin, wearing long–sleeved shirts, long pants and reducing mosquito populations on the landscape. SavATree uses a highly effective natural and organic mosquito repellent derived from garlic that leaves no scent after the treatment has dried. One garlic mosquito control treatment provides immediate reduction of mosquito populations as well as long lasting insect control which is effective for two weeks and can naturally repel mosquitoes for up to one month (depending on weather). Chikungunya & West Nile Virus–carrying mosquitoes are eliminated or repelled helping to minimize the risk of bites and keep your family safe. To help combat this epidemic, SavATree has a special promotion. Luann O'Brien, V.P. of Marketing & Sales at SavATree, said, “Since homeowners are very concerned about mosquitoes in the landscapes during this late summer and early fall months, SavATree is offering our mosquito treatment to new clients at a special rate of $98 for up to 1/2 acre of property.” Mosquito treatments can be arranged through a local arborist by calling 1–800–341–8733 or by visiting www.savatree.com. SavATree, the green choice for tree service and lawn care, provides environmentally sensible services to residential, commercial, historic and government properties in select parts of CT, DC, IL, MA, MD, MN, NJ, NY, PA, VA and WI. Services are performed by certified arborists and trained field specialists and include: tree pruning, tree fertilization, insect control, tree disease management, deer deterrent solutions, lawn care services and so much more. Organic, traditional and hybrid options are available. Learn more at www.savatree.com. MOUNTAIN VIEW, CA—(Marketwired – Jul 31, 2014) – Audience, Inc. (NASDAQ: ADNC), the leader in advanced voice and audio processing for mobile devices, today announced its second quarter 2014 financial results. Revenue for the second quarter of 2014 was $37.5 million, compared with $45.3 million for the same period in 2013. As reported under U.S. generally accepted accounting principles (GAAP), second quarter 2014 net loss was ($4.4) million, or ($0.20) per diluted share based on weighted average shares outstanding of 22.5 million. This compares with GAAP net income of $2.7 million, or $0.11 per diluted share based on weighted average shares outstanding of 23.2 million, for the same period in 2013. Gross margin on a GAAP basis for the second quarter of 2014 was 54.6% of revenue, compared to 59.0% of revenue for the same period in 2013. Non–GAAP net loss, as defined below, for the second quarter of 2014 was ($2.2) million, or ($0.10) per diluted share based on weighted average shares outstanding of 22.5 million. This compares with non–GAAP net income of $5.7 million, or $0.24 per diluted share based on weighted average shares outstanding of 23.2 million, for the same period in 2013. Gross margin on a non–GAAP basis for the second quarter of 2014 was 54.9% of revenue, compared to 59.2% of revenue for the same period in 2013. For the third quarter of 2014, Audience expects total revenue to be in the range of $25 to $28 million. Third quarter GAAP gross margin is expected to be in the range of 51.5% to 54.5%. Third quarter GAAP net loss, which includes $2.2 million of expected stock–based compensation expense, is expected to be in the range of ($11.0) to ($12.5) million, or ($0.48) to ($0.54) per diluted share on approximately 22.8 million diluted weighted average shares outstanding. Third quarter non–GAAP gross margin is expected to be in the range of 52% to 54%. Third quarter non–GAAP net loss is expected to be in the range of ($8.5) to ($10.0) million, or ($0.37) to ($0.43) per share on a diluted basis. The foregoing statements regarding the company's business outlook reflect the acquisition of Sensor Platforms, Inc. in July 2014. A schedule showing a reconciliation of the business outlook from GAAP diluted net loss per share to non–GAAP diluted net loss per share is included with this release. The above information concerning guidance represents Audience's outlook only as of the date hereof and is subject to change as a result of amendments to material contracts and other changes in business conditions. Audience undertakes no obligation to update or revise any financial forecast or other forward looking statements, as a result of new developments or otherwise. Peter Santos, president and chief executive officer, and Kevin Palatnik, chief financial officer, will host a conference call today at 1:30 pm (Pacific) / 4:30 pm (Eastern). Attendees are asked to join the call at least ten minutes prior to the scheduled conference call time. The call may be accessed by dialing 1–877–212–6076 (toll free) or 1–707–287–9331 (international). The passcode is 68924354. A live and archived webcast of the call will be available on Audience's website at http://investor.audience.com for 30 days. Audience expects that its corporate representatives will meet privately during the quarter with investors, the media, investment analysts and others. At these meetings, Audience may reiterate the business outlook published in this press release. At the same time, Audience will keep this press release, including the business outlook, publicly available on its website. Beginning September 12, 2014, Audience will observe a Quiet Period during which Audience's representatives will not comment on Audience's business outlook, financial results or expectations. The Quiet Period will extend until the day when Audience's Third Quarter 2014 Earnings Release is published, which is currently scheduled to be October 30, 2014. Stock–based compensation expense relates to equity incentive awards granted to our employees, directors and consultants under GAAP. Stock–based compensation expense has been and will continue to be a significant recurring expense for Audience. While we include the dilutive impact of such equity awards in weighted average shares outstanding, the expense associated with stock–based awards reflects a non–cash charge that we exclude from non–GAAP net income. On June 5, 2012, Audience entered into a lease agreement for its future corporate headquarters facility in Mountain View, California. Pursuant to the lease agreement, the lease falls under “build–to–suit” accounting treatment and therefore, in accordance with accounting for the effect of lessee involvement in asset construction, the company is considered to be the owner of the real estate project during the construction period. As such, Audience recorded an asset for construction in progress for incurred construction costs, and a liability for those costs that are not funded by the company. Additionally, the rent costs associated with the ground lease during construction was recorded to the income statement. This rent cost is a non–cash charge that the company excluded from its non–GAAP net income. The construction was completed and the lease commenced October 1, 2013. Upon lease commencement, “build–to–suit” accounting treatment was terminated. The company concluded that the lease qualifies for sale–leaseback accounting treatment and that the lease is to be recorded as an operating lease. On July 11, 2014, Audience completed its acquisition of Sensor Platforms, Inc. Certain non–recurring acquisition costs have been excluded from non–GAAP net income. Non–GAAP financial information is adjusted for a tax rate equal to our three year annual estimated tax rate on non–GAAP income. Our three year estimated tax rate on non–GAAP income is determined annually and may be adjusted during the year to take into account events or trends that we believe materially impact the estimated annual rate including, but not limited to, significant changes resulting from tax legislation, material changes in the geographic mix of revenues and expenses and other significant events. Due to the differences in the tax treatment of items excluded from non–GAAP earnings, as well as the methodology applied to our estimated annual tax rates, our estimated tax rate on non–GAAP income may differ from our GAAP tax rate and from our actual tax liabilities. Audience has provided these measures in addition to GAAP financial results because management believes these non–GAAP measures help provide a consistent basis for comparison between quarters and annual growth rates that are not influenced by certain non–cash charges and therefore are helpful in understanding Audience's underlying operating results. These non–GAAP measures are some of the primary measures Audience's management uses for planning and forecasting. These measures are not in accordance with, or an alternative to, GAAP and these non–GAAP measures may not be comparable to information provided by other companies. Reconciliations of the GAAP to non–GAAP results are presented at the end of this press release. Statements in the press release and certain matters to be discussed on the second quarter conference call regarding Audience, Inc., which are not historical facts, are “forward–looking statements” within the meaning of the Private Securities Litigation Reform Act of 1995. These forward–looking statements may be identified by terms such as believe, expect, may, will, provide, could and should and the negative of these terms or other similar expressions. These statements, including statements relating to expectations of future revenue, net income and operating margin performance, integration of the Sensor Platforms' team and technology, future success for various products and our leadership position in the market, and the demand for our solutions including continued demand by customers upon whom we are substantially dependent are based on current expectations and assumptions that are subject to risks and uncertainties. Our actual results could differ materially from those we anticipate as a result of various factors, including: completion of our June 30, 2014 review by our independent auditors, and potential fluctuations in the company's quarterly and annual operating results and financial condition, including but not limited to matters related to tax; our dependence on a single OEM, Samsung Electronics Co. Ltd., for a substantial portion of our revenue; weak demand for high end smart phones and the impact on our business; our need to maintain and expand our existing relationships with our OEMs, including Samsung and leading Chinese OEMs, and to establish relationships with new OEMs in order to maintain and increase our revenue; our ability to sustain profitable operations due to our history of losses and accumulated deficit; quarterly fluctuations in our results due to factors such as the timing of OEM product launches and customer purchasing behavior in light of anticipated mobile phone launches; our assessments of whether we have excess or obsolete inventory; increasing competition and new entrants in the market for our products; our need to diversify our sources of revenue; our ability to successfully integrate Sensor Platforms' team and technology; our ability to enter new end user product markets, as well as new geographic markets; pressure on the average selling prices for our products; our lengthy sales cycle and the lack of certainty as to whether any given OEM's products will achieve market acceptance; our OEMs' lengthy and expensive process to qualify our products; our ability to develop new or enhanced products in a timely manner that achieve market acceptance; our reliance on third parties to manufacture, assemble and test our products; increased defects that may be present in our products as we scale our manufacturing processes; the impact of future intellectual property litigation and claims for indemnification; changes in tax laws or our ability to utilize our tax structure and net operating losses and other risks inherent in fabless semiconductor businesses. For a discussion of these and other related risks, please refer to “Risk Factors” in our most recent Quarter Report on Form 10–Q for the three months ended March 31, 2014, which is available on the SEC's website at www.sec.gov. Given these uncertainties, you should not place undue reliance on these forward–looking statements. Also, forward–looking statements represent our management's beliefs and assumptions only as of the date made. You should review our SEC filings carefully and with the understanding that our actual future results may be materially different from what we expect. Except as required by law, we assume no obligation to update these forward–looking statements, or to update the reasons actual results could differ materially from those anticipated in these forward–looking statements, even if new information becomes available in the future. Audience is the leader in advanced voice and audio processing for mobile devices, and a pioneer in multisensory processing and natural user experience technology for consumer devices. Its technologies, based in auditory neuroscience, improve the mobile voice experience, as well as enhance speech–based services and audio quality for multimedia. In early 2014, the Company announced its expansion into multisensory and motion processing. Through the combination of Advanced Voice and multisensory processing, Audience aims to transform the way consumers engage with devices by enabling seamless natural user experiences and context–aware services. The Company's products have been shipped in more than 400 million devices worldwide. For more information, see www.audience.com. For more information on Audience® products please go here. (1) For the second quarter of 2014, adjustments are related to stock–based compensation expense of $1,924 and acquisition–related fees and expenses of $546 recognized for GAAP purposes. For the second quarter of 2013, adjustments are related to stock–based compensation expense of $1,326 and non–cash rent expense of $183 recognized for GAAP purposes. (2) Adjustment reflects the tax effect from all non–GAAP adjustments for the periods. (1) For the six months ended June 30, 2014, adjustments are related to stock–based compensation expense of $3,500 and acquisition–related fees and expenses of $546 recognized for GAAP purposes. For the six months ended June 30, 2013, adjustments are related to stock–based compensation expense of $2,643 and non–cash rent expense of $431 recognized for GAAP purposes. PALO ALTO, CA—(Marketwired – Jul 31, 2014) – Tesla (NASDAQ: TSLA) today released its financial results for the second quarter ended June 30, 2014, by posting the current Shareholder Letter on its website. Please visit the investor relations section of the Tesla website at http://ir.teslamotors.com to view the letter. As previously announced, Tesla management will host a live question & answer (Q&A) webcast at 2:30 p.m. Pacific Time (5:30 p.m. Eastern Time) to discuss the quarterly results and outlook. KNOXVILLE, TN—(Marketwired – Jul 31, 2014) – Miller Energy Resources (“Miller”) (NYSE: MILL) announced today that its Board of Directors has declared a semi–annual cash dividend on Company's Series B Redeemable Preferred Stock (“Series B Preferred Stock”) and a quarterly cash dividend payment on the Company's 10.75% Series C Cumulative Redeemable Preferred Stock (“Series C Preferred Stock”) and its 10.5% Series D Fixed Rate/Floating Rate Cumulative Redeemable Preferred Stock (“Series D Preferred Stock”). The dividend on the Series B Preferred Stock, Series C Preferred Stock and Series D Preferred Stock will be payable on Tuesday, September 2, 2014, to holders of record at the close of business on August 15, 2014. The semi–annual payment on Series B Preferred Stock will be approximately $6.05 per share, which is equivalent to an annualized 12% per share, based on the $100.00 per share stated value, accruing from March 1, 2014, through August 31, 2014. Miller Energy Resources, Inc. is an oil and natural gas exploration, production and drilling company operating in multiple exploration and production basins in North America. Miller's focus is in Cook Inlet, Alaska and in the heart of Tennessee's prolific and hydrocarbon–rich Appalachian Basin including the Mississippian Lime. Miller is headquartered in Knoxville, Tennessee with offices in Anchorage, Alaska and Huntsville, Tennessee. The company's common stock is listed on the NYSE under the symbol MILL. Certain statements contained herein are forward–looking statements including, but not limited to, statements that are predications of or indicate future events, trends, plans or objectives. Undue reliance should not be placed on such statements because, by their nature, they are subject to known and unknown risks and uncertainties. Forward–looking statements are not guarantees of future activities and are subject to many risks and uncertainties. Due to such risks and uncertainties, actual events may differ materially from those reflected or contemplated in such forward–looking statements. Forward–looking statements can be identified by the use of the future tense or other forward–looking words such as “believe,” “expect,” “anticipate,” “intend,” “plan,” “should,” “may,” “will,” believes,” “continue,” “strategy,” “position” or the negative of those terms or other variations of them or by comparable terminology. A discussion of these risk factors is included in the Company's periodic reports filed with the SEC. COLUMBIA, MD—(Marketwired – Jul 31, 2014) – Movilitas Consulting, a division of Peak–Ryzex, Inc., today announced it has launched a new Track & Trace as a Service (TTaaS) solution to provide a secure and proven platform to companies faced with global regulatory compliance and product visibility corporate initiatives. The TTaaS solution from Movilitas is based on the standard SAP® enterprise solution for Track & Trace, SAP Auto–ID Infrastructure (SAP AII) and SAP Object Event Repository (SAP OER), but remotely hosted to offer the solution through a more flexible monthly–fee for service arrangement. The Movilitas TTaaS solution removes the high up–front capital investment costs that are typically required for software licensing and infrastructure with a traditional on premise solution. The Movilitas TTaaS solution allows companies to quickly and easily comply with the 2015 requirements of H.R. 3204, and with the preemption of California e–pedigree law, the Drug Quality and Security Act (DQSA) of 2013 while providing a scalable platform for complying with future serialization requirements for 2017 and beyond. In addition to the new TTaaS solution, Movilitas will continue to offer an on–premise option leveraging a proven SAP solution to accelerate serialization deployments at a fixed price while also helping customers optimize their supply chain, and maintain the integrity of product visibility for complete supply network traceability. “We designed our solution to be used by any company faced with global regulatory requirements, regardless of the size of their business or current ERP system. For non–SAP users, the TTaaS solution offers a quick, easy, and economical way to achieve compliance while leveraging the proven track–record of the SAP Track & Trace technology components. For SAP users, the TTaaS solution provides another option for deploying SAP technology without adding internal support burden or additional IT infrastructure,” added Hockenberger. Movilitas Consulting, a division of Peak–Ryzex, provides end–to–end supply chain, track and trace and mobility solutions. Movilitas Consulting solutions enhance customers' control of their extended supply chain, help ensure compliance with global regulations, and optimize field–based business processes helping to accelerate the pace of business performance. For more information on Movilitas Consulting, visit www.movilitas.com. Any statements contained in this document that are not historical facts are forward–looking statements as defined in the U.S. Private Securities Litigation Reform Act of 1995. Words such as “anticipate,” “believe,” “estimate,” “expect,” “forecast,” “intend,” “may,” “plan,” “project,” “predict,” “should” and “will” and similar expressions as they relate to SAP are intended to identify such forward–looking statements. SAP undertakes no obligation to publicly update or revise any forward–looking statements. All forward–looking statements are subject to various risks and uncertainties that could cause actual results to differ materially from expectations The factors that could affect SAP's future financial results are discussed more fully in SAP's filings with the U.S. Securities and Exchange Commission (“SEC”), including SAP's most recent Annual Report on Form 20–F filed with the SEC. Readers are cautioned not to place undue reliance on these forward–looking statements, which speak only as of their dates. PITTSBURGH, PA—(Marketwired – Jul 31, 2014) – A home in Peters Township, Pennsylvania sold at an absolute auction conducted by J. P. King Auction Company on July 31, reaching a sales price of over $3.44 million. The home included a three–story, indoor pool and sat on 21 acres. Of the 21 people who toured the property in the days leading up to the auction, the registered bidders brought opening bids that ranged from $700,000 to $2.5 million. After nearly 20 minutes of bidding, Matthew and Sally DiAngelo of McMurray, Pennsylvania, purchased Walnut Hill and will use the home as their primary residence. They were represented by Century 21 Frontier agent Lisa Browell. Walnut Hill, a luxury home on 21 acres in Peters Township, Pennsylvania, sold at an auction event conducted by J. P. King Auction Company for $3.44 million. The sale of Walnut Hill adds to the 12 luxury properties J. P. King has previously sold in Pennsylvania, now totaling $40 million in sales. With six bedroom suites and 10 total bathrooms, Walnut Hill was designed for entertaining with its large, open rooms and indoor recreational activities. The most noticeable of these is the three–story indoor pool with large glass walls. The 45–foot lap pool, spa and waterfall also feature dual changing rooms and a commercial dehumidification system. Combined with a solarium, media center, and game room, along with living quarters that function as an autonomous residence within the larger home, the property transforms to the needs of its owners. In the home's 21–acre outdoor space, Walnut Hill features a 10–stall horse stable with a passive convection cooling system, a Japanese garden, a walking trail through the property and an abundance of privacy. About J. P. King: J. P. King Auction Company specializes in high–value properties such as luxury homes, resort properties and ranches. The company has marketed properties in all 50 states and six countries with upcoming events that include a luxury home in Minnesota, a vacation resort on the Oregon coast and a mountain estate in North Carolina. TAMPA, FL—(Marketwired – Jul 31, 2014) – All–inclusive can certainly offer convenience, but when it comes to truly experiencing a destination, it takes an adventurous spirit willing to explore. At the Tampa Marriott Waterside Hotel & Marina, visitors have access to many resort–like amenities, from a full–service spa to fine dining, but with a convenient downtown location that makes it easy to tackle top attractions. Families staying at the downtown Tampa hotel can celebrate the final days of summer with special events at the city's best–known sights. For example, Channelside Bay Plaza puts on a fireworks show every night through August 31, which is viewable from the hotel's balcony rooms. Tampa Marriott Waterside Hotel & Marina is offering families the best of summer by providing final days of summer savings packages. With 300 acres, Busch Gardens Tampa is a playground for kids, with attractions that encourage discovery. While the day can be filled with thrill rides, live shows and encounters with animals, Summer Nights offers a different take on the theme park. Through August 17th, Summer Nights features live entertainment, summer–food favorites, craft beers and a nightly fireworks show. Every Saturday, the night hosts some of the biggest names in entertainment, with a musical lineup that includes Cher Lloyd, Taking Back Sunday and The All–American Rejects. The hotel near Tampa Bay also offers convenient access to the Lowry Park Zoo, voted the best zoo in the country by Parents and Child magazines. With 1,500 animals, including koalas, elephants, penguins and tigers, the 60–acre zoo offers a fun day for the entire family. Those more fascinated with underwater creatures shouldn't miss The Florida Aquarium, where interactive experiences allow visitors to dive with sharks or get a closer look at penguins. Celebrate the start of Shark Week on August 9th and 10th with themed activities. The aquarium is only five minutes away by Trolley, which stops directly in front of the hotel. Florida Aquarium Package: Explore the underwater world with two adult tickets to the Florida Aquarium, and get a birds–eye perspective with a water–view room upgrade. Additional tickets are available for purchase at the concierge desk. Available through December 31, 2014; promotional code ARN. Family Movie Night Package: Enjoy a relaxing night in with an upgrade to a water–view room, one in–room movie per night, and two large traditional pizzas and eight canned beverages from room service. Available through December 31, 2014; promotional code ZE2. Kids Eat Free: Bring the entire family for a fun–filled vacation, and enjoy a guest room with one king or two double beds, and free meals (breakfast, lunch or dinner) for up to four kids (ages 12 and under) when accompanied by a paying adult. Meals must be ordered from the kids menu. Available through December 31, 2014; promotional code MAJ.
To book any of the above packages, visit www.marriott.com/hotels/hotel–deals/tpamc–tampa–marriott–waterside–hotel–and–marina/, or call 1–800–228–9290 in the US. Be sure to have the promotional code available when making a reservation. Offering breathtaking views of the city and bay, the Tampa Marriott Waterside Hotel & Marina is the ideal destination for business and leisure travelers. Set in the heart of downtown, the hotel is only steps from the Tampa Convention Center and Tampa Bay Times Forum, and can host weddings, meetings and special events in its 50,000 square feet of function space. Tampa is also a tempting city for those who want to relax and explore. Family favorites including Busch Gardens and the Florida Aquarium are easily accessible, and outdoor activities, from biking and golfing to sailing and snorkeling, can be arranged. 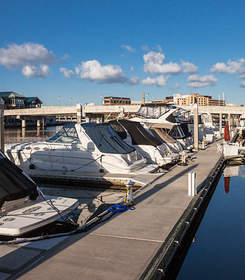 On property, visitors can enjoy a pampering treatment at the Spa Waterside, a lazy swim in the rooftop pool, an invigorating workout in the fitness center or a boat ride from the 32 slip full–service marina. Celebrating the nearly year–round sun, the hotel features an outdoor patio and rooftop garden, used to source produce for Waterside Grill. Guests can also enjoy lively meal at Champions Sports Bar, featuring big–screen TVs and tennis court flooring. If location is everything, this hotel has it all, including Tampa waterfront suites and guest rooms with great views, a comfortable workspace, Wi–Fi, room service, 32–inch LCD TV and coffee/tea maker. NEW YORK, NY—(Marketwired – Jul 31, 2014) – IntelliCell Biosciences, Inc. (“IntelliCell” or the “Company”) (OTCQB: SVFC), a regenerative medicine company utilizing adult autologous vascular cells (SVCs) derived from the blood vessels found in adipose tissue, announced that this week Sports Illustrated featured its cellular technology and gives credit to the inventor and IntelliCell CEO, Steven Victor, MD in the article “Stem Cell Treatment: Out from the Shadows, Onto the Cutting Edge”. The article also features Dr. James Andrews and his notorious work with some of the most elite professional athletes in the sports industry. The company appreciates the experience and expertise that Dr. Andrews brings to the lineup. IntelliCell is a pioneering regenerative medicine company focused on the expanding regenerative medical markets using adult autologous stromal vascular fraction cells (SVFCs) derived from the blood vessels in the adult adipose tissue. IntelliCell Biosciences has developed its own patented technology and protocol to separate adult autologous vascular cells from adipose tissue without the use of enzymes. IntelliCell will also be seeking to develop technology–licensing agreements with technology developers, universities, and international business entities. Certain statements set forth in this press release constitute “forward–looking statements.” Forward–looking statements include, without limitation, any statement that may predict, forecast, indicate, or imply future results, performance or achievements, and may contain the words “estimate,” “project,” “intend,” “forecast,” “anticipate,” “plan,” “planning,” “expect,” “believe,” “will likely,” “will reach,” “will change,” “will soon,” “should,” “could,” “would,” “may,” “can” or words or expressions of similar meaning. Such statements are not guarantees of future performance and are subject to risks and uncertainties that could cause the company's actual results and financial position to differ materially from those included within the forward–looking statements. Forward–looking statements involve risks and uncertainties, including those relating to the Company's ability to grow its business. Actual results may differ materially from the results predicted and reported results should not be considered as an indication of future performance. The potential risks and uncertainties include, among others, the Company's limited operating history, the limited financial resources, domestic or global economic conditions, activities of competitors and the presence of new or additional competition, and changes in Federal or State laws. More information about the potential factors that could affect the Company's business and financial results is included in the Company's filings, available via the United States Securities and Exchange Commission. MCLEAN, VA—(Marketwired – Jul 31, 2014) – Freddie Mac (OTCQB: FMCC) released today its mid–year multifamily outlook, showing a strong market with vacancy rates at a 13–year low, a large cohort of young adult renters and potential renters, and a continued demand for apartments that is expected to meet the new supply of units being constructed. A short preview video and the complete mid–year outlook are available here. The multifamily rental housing market is strong despite the fluctuating macroeconomic indicators in the first half of the year. Supply of new multifamily units is being absorbed by demand and market fundamentals are expected to remain strong over the next two years, converging towards historical averages. Multifamily debt origination volume will pick up in the second half of this year, projected to end the year around $161 billion, or $11 billion less than in 2013. The volume in 2015 is projected to increase slightly from 2014. An estimated 3.9 million potential households weren't formed due to the Great Recession, with young adults accounting for close to 75 percent of those pent–up households. Over the next decade, an estimated 440,000 multifamily units may be needed each year to meet the growing demand, based on demographic trends.